The Evanescence women's bathrobe is made of 100% cotton towelling. 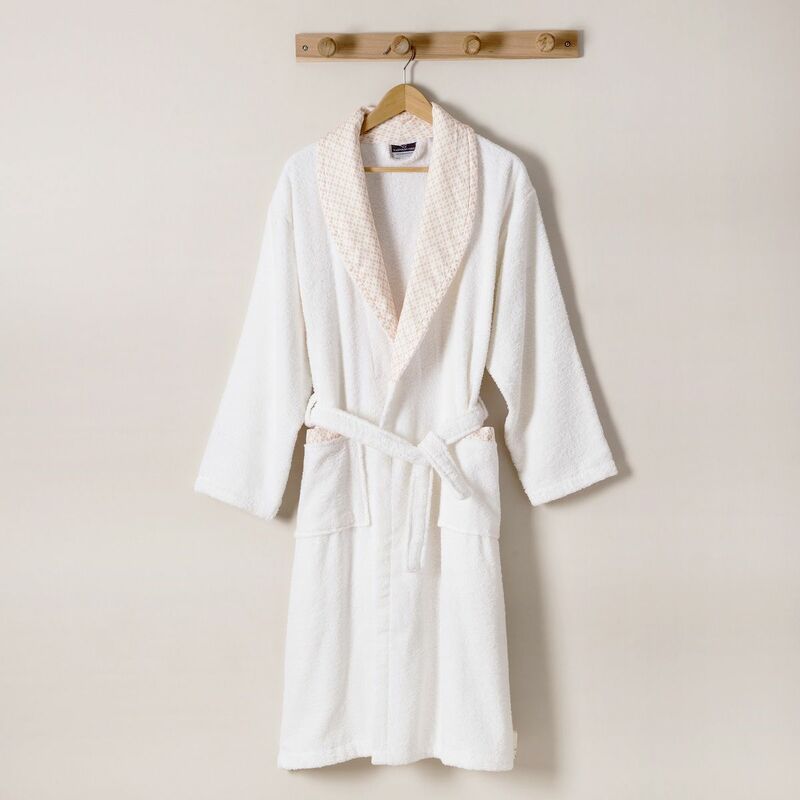 This bathrobe is very absorbent and soft thanks to its weight of 350g / m². 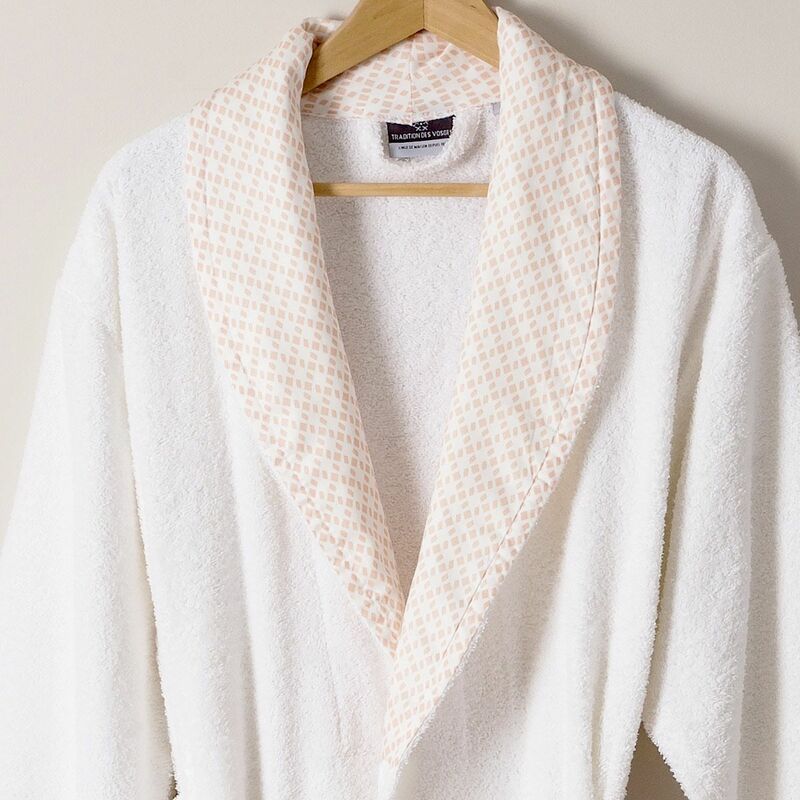 This white bathrobe has a nice shawl collar in cotton with orange patterns. 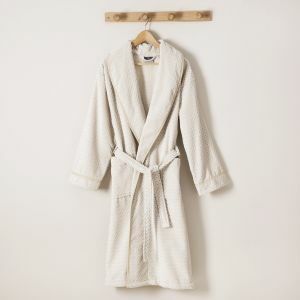 This bathrobe has two patched pockets on the front with a patterned lapel. It fastens thanks to its belt which is held at the waist thanks to two loops. 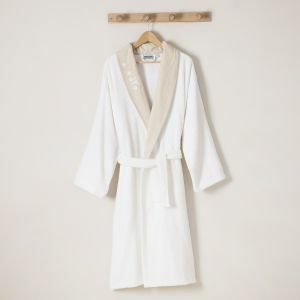 You may like to match this bathrobe with our range of Evanescence bedlinen. 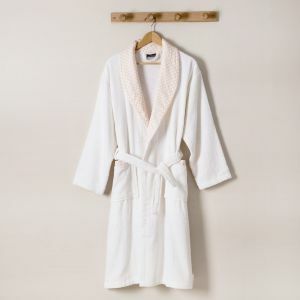 Bathrobe for women, 100% cotton sponge 350g / m2, white color and orange pattern.